September has always been my favorite month. I love being able to wear sandals during the day and a flannel at night, the first time I add pumpkin syrup to my soy latte, and especially the piles and piles of colorful gourds found at any farmers’ market all month long. It certainly helps that I grew up in New England, foliage central, and was kinda a nerd (aka loved back to school shopping). And even though my birthday happens to fall early on in the month, I promise that doesn’t prejudice my decision (I’d love September with or without the cake and presents…though they certainly don’t hurt). In DC, September is a time to rejoice in the break in the heat waves, the return to the beloved after-school-Pop tradition and, of course, Pleasant Pops’ Birthday! That’s right. September 15 marks the second anniversary of the Pleasant Pops storefront and cafe and we are ready to celebrate on September 28! Before we get to blow out our own candles, we’re excited to be participating in Adams Morgan day this Sunday, September 14. This neighborhood event has been running annually for 36 years; it begins at noon and ends around 7 pm and spans the whole Adams Morgan area. 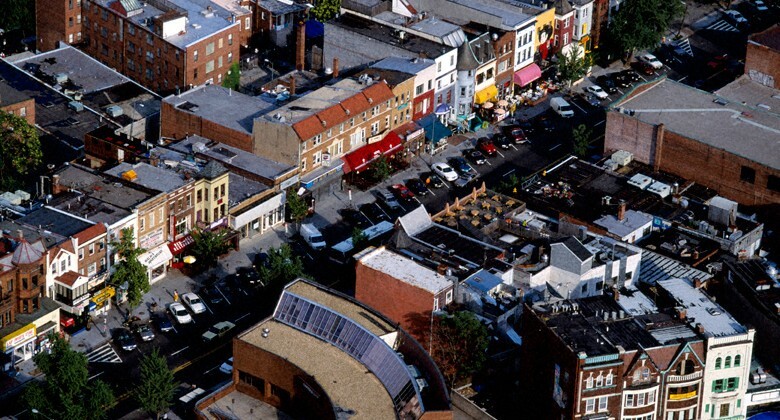 As a tribute to the longstanding community, Adams Morgan celebrates itself every year: local restaurants run specials, there are specific kid-friendly activities, and many local artists display and sell their work. Pleasant Pops has been a strong member of the Adams Morgan neighborhood for two years now; we’ve worked hard to establish our presence in the community and we’re excited to join the festivities this weekend. Make sure you spend a few hours on 18th street this Sunday (between Florida Ave. and Columbia Rd.) and stop by for a Pop. We’ll have the cart parked outside all afternoon! Two weeks later, we’re turning the focus on ourselves and throwing a grand old second birthday bash. On Sunday, September 28, we’ll be celebrating at the store all day long, but have some special events planned between 2:00pm and 5:00pm. Alex Wilkins, a local singer-songwriter and guitarist will be playing music outside on the sidewalk as we run our own pop-themed arts’n’crafts activities (aimed for kids, but adults are always encouraged to play around too!) With some brand new Pleasant Pops merchandise available at one-day-only sale prices (think new tote bags, trucker hats, maybe more), we’re excited to see a lot of Pops love. And what would a Pleasant Pops Birthday Bash be without a special, limited edition Pop! We’re keeping this brand new flavor a surprise, but trust me, it’ll be super-duper delicious! There is a lot more in store for September 28, so make sure you follow us on Instagram, Twitter and Facebook for updates! Enjoy this perfect month and we’ll see you soon!